Home Hotels New South Wales Mercure Sydney Nautilus Resort Queensland Binna Burra Lodge Kondari Resort Lady Elliot Rydges Capricorn Daydream Island Castaways Rydges Reef Resort Palm Royale Red Centre The Lost Camel Kings Canyon Resort Red Centre resort Glen Helen Homestead Territory Inn Tasmania The Lodge on Elisabeth Top End El Dorado Motor Inn Mercure Inn Katherine Gagudju Lodge Cooinda Kakadu resort Frontier Darwin Victoria Bothfeet Lodge Batmans Hill Lady Elliot is the perfect place if looking for a life close to nature without missing the benefits of civilisation. 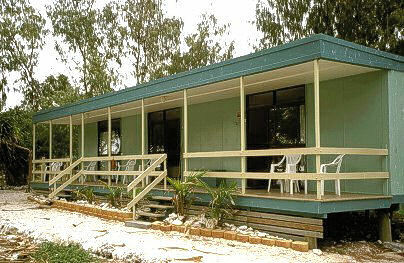 It provides meals, shower, aircondition, information about the environment and a dive shop. 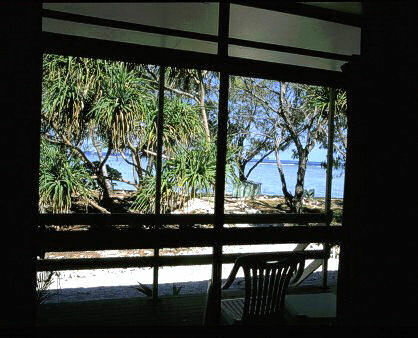 But all of that is only to support the joys nature provides: whales, turtles, birds and of course the Great Barrier Reef. If you don't enjoy that, you won't enjoy Lady Elliot. If you do, it's heaven.